I am so impressed with the quality of the Easter baskets I purchased this year! The turnaround time and customer service is phenomenal. 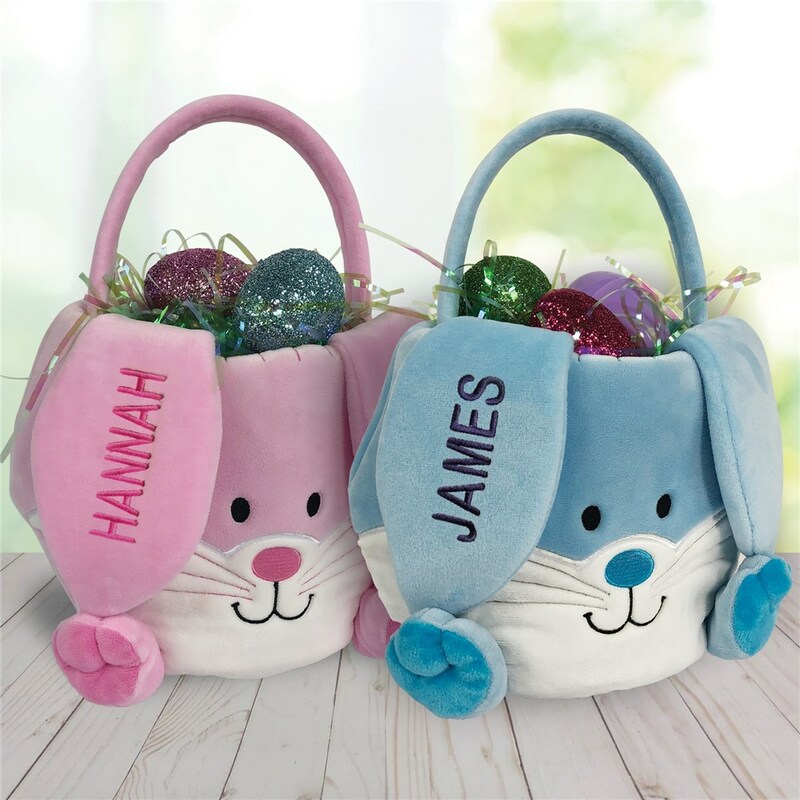 I got a blur and pink bunnies for my grandchildren and then at the last minute bought the personalized lambs for all the adult children and significant others when they went on sale and I realized I would not be with them at Easter. They will be thrilled I am sure and amused as well. We all have unusual names in our family and it is so nice to be able to have something so very nice that is personalized! Thank you!! 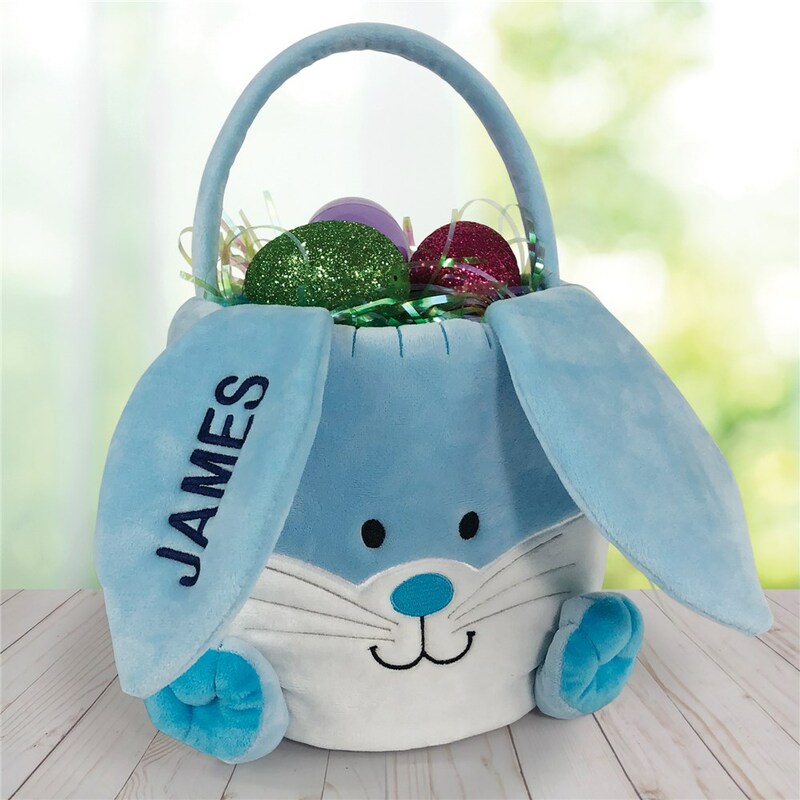 Absolutely love these personalized Easter baskets! 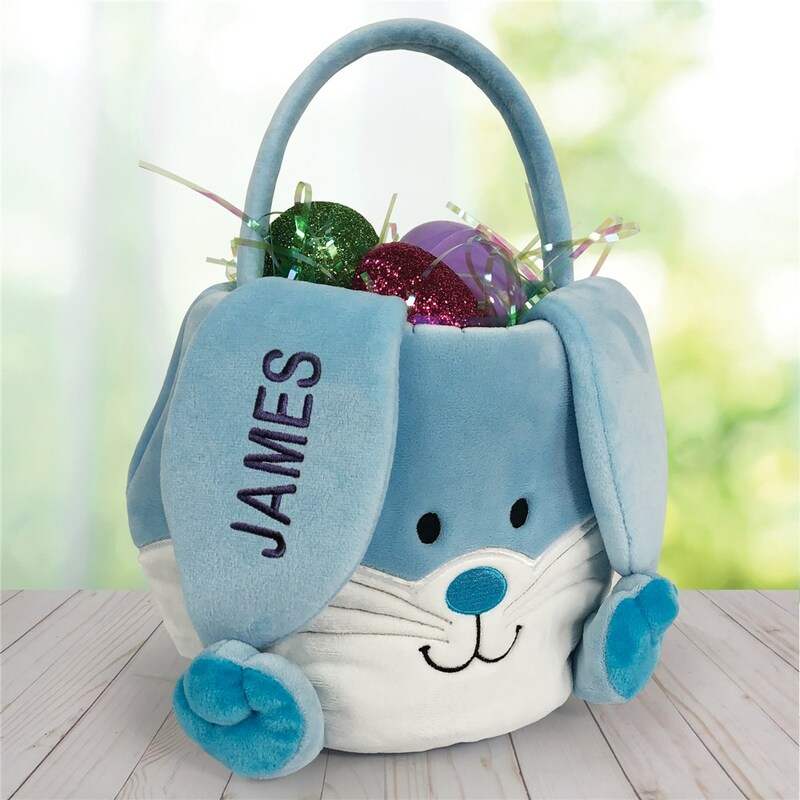 Plush and personalization is beautiful. Quality is excellent. Additional Details Announce the main bunny has arrived with our terrific Easter garden flags! 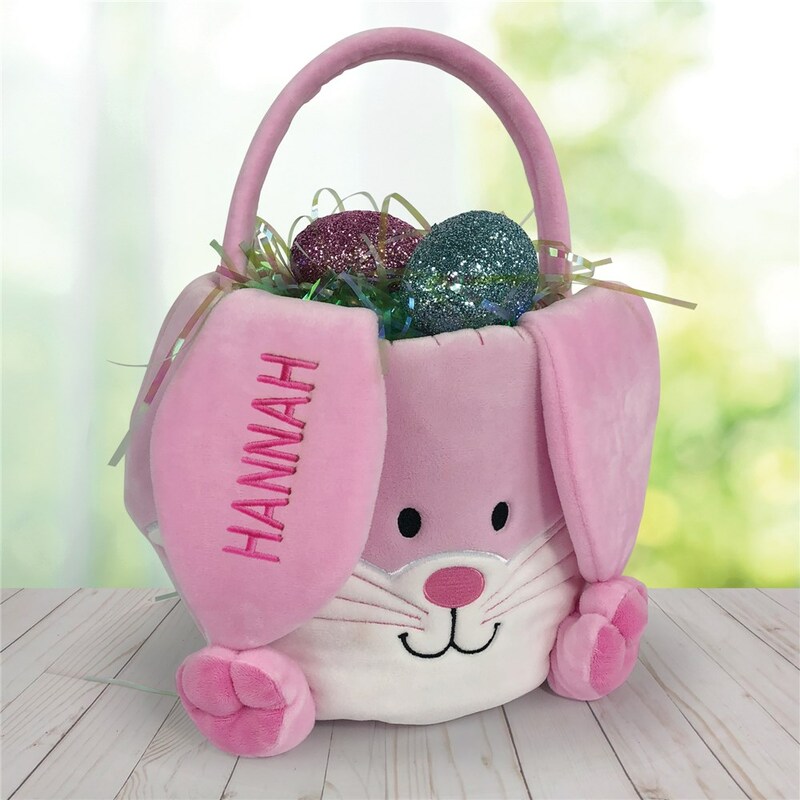 And check out our other terrific ideas, like Personalized Newborn Baby Gifts and birthday gifts for her! 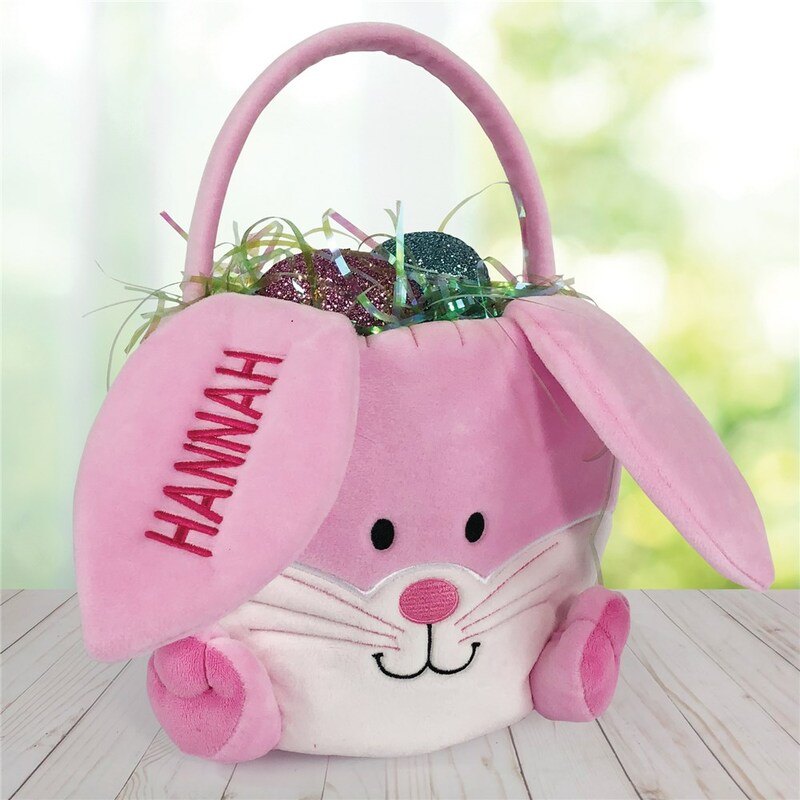 If you're searching for the perfect Easter gift for your grandchildren, you should take a look at our blog post featuring some of our most adorable new items!